It’s time to look at a recent fighting game that came out for PS4. The fact that it got announced for EVO was a fun coincidence as I had already ordered this game. Now if anything it’ll help me keep up with what’s happening during the tournament a lot better. Arc Systems has always been great with fighting games so right off the bat I knew that this one would be very good. I certainly was not disappointed. It’s definitely a great title. There isn’t a central plot here, but instead each character has a story that is told through their Arcade Mode. This is a staple for many fighting games so it’s not surprising. The game does give you a little extra content through the Chronicles mode where you learn more about each character though. There’s actually quite a bit of content here. Completing the game with every character will take some time for sure. The general premise is that once a month the “Night” occurs where people from various eras and locations show up to fight. In a way it’s very similar to the Fate plots except that it all happens in the span of a single day. The characters must stop whoever is leading the charge this time before people start being turned into voids and become a danger to society. Some of the characters fight for justice, others for evil, and others for personal reasons. Either way, only one can survive. The gameplay is that of a fast paced 2D fighter. Each character has quite a lot of combos and you’ll want to master them all if you want to start overwhelming the opponent. It’s definitely a game where you won’t ultimately go too far by button mashing. The combos are made in a way where you need to switch buttons to really use the best ones. Just hitting one button simply won’t work. Still, the game makes you feel good with how much damage you end up dealing all the time. Each character has a unique fighting style so you’ll want to find the character that ends up clicking with you. Fortunately most of the characters are pretty fun here. I definitely enjoy Hide as he’s a fun protagonist. He’s always up for a fight and while the guy can be laid back, he steps in when necessary. Linne is a good supporting character who is a lot older than she appears. Her experience gives her an edge in combat. Finally there is the Assassin who never likes to say his name. His cool demeanor and expert fighting style makes him a threat as well. One thing that all 3 of these characters have in common is that they’re close range sword users. You just can’t beat that gameplay style. This game really delivers on a graphics front as well. The visuals for the attacks are great. Pretty much every attack has some kind of effect going on. The stages are very dynamic as well and everything looks very pristine and modern. It would have been nice if we could have gotten some actual cutscenes instead of just having a bunch of still images but I suppose you can’t have everything right? Even more impressive than the graphics here is the soundtrack. Pretty much every theme is dynamite. That’s good because you’ll be hearing the themes quite a lot. Each character has their own unique theme and then the game has a few miscellaneous ones as well. Most of them are fast paced rock songs so you can definitely see why they would appeal to me. For replay value, this game is a fighter so it automatically has an unlimited amount. You can keep on playing others locally or online to hone your skills. You can spend the money you earn on unlocking new costumes and titles. You don’t earn much money from doing Story Mode so you’ll have to see which way earns it the fastest. Either way there are a ton of things to buy so I expect it’ll take you a very long time to do so. You definitely won’t be putting this game down for quite a while after you buy it. It’s here for the long haul. If anything it would be fun to see this turned into an anime or manga at some point. It’s got a lot of cool ideas and the story is very large in scope. The game can’t really touch on it all that much though since Arcade Modes are very short. If it was a full anime then it could really go into all of this. It’s just a solid premise as well that would lend itself well to such things. Until that happens the game does work well as a prologue of sorts though. Overall, Under Night is definitely a great fighting game. It really checks off all the boxes for what a fighter should be. The gameplay is fast and detailed. The graphics are sharp and the soundtrack perfectly complements the tone as well. Finally, the characters are interesting. It’s rare that characters hurt a fighting game, but it happened once with AquaPazza. Ideally a roster should involve characters you are interested in as they’ll just make the whole thing more exciting. Take them out of the picture and there just isn’t much left. Well, this game definitely didn’t have those problems. If you haven’t bought this game yet then I would recommend changing that. It’s only about 20 bucks nowadays which is really a pretty good price when you consider that it’s a PS4 title. You’ll want to jump on that deal while you can. It’s time to take a look at one of the most eagerly awaited games of 2018! The instant that the first teaser trailer came out I knew that this was going to be an all star title. RWBY characters were finally getting a chance in the spotlight and I was also finally able to experience the Blazblue fighting style. Needless to say the game is a blast. Unfortunately while the game was expected to be relatively low budget, I still did expect a little more than what the game had to offer. It’s a great title, but perhaps one that I cannot call masterful. The premise of the game’s story is that every character from 4 different worlds have been kidnapped. Each world gets 4-8 different fighters who compete in a big tournament to decide all of their fates. The champion must grab all 4 of the Keystones and make it to the end. Sounds simple enough, but will this mysterious cosmic being really let them go so easily? You typically can’t trust these mysterious characters. Most of the characters here just want to fight so don’t expect most confrontations to end calmly. There are 4 stories, one for each of the various series in the game. The stories have 8 battles within them and a general story in the background. Blazblue is the only story with multiple endings though. The stories are fairly quick at around 70 minutes each and only around 10 if you skip cutscenes. The cutscenes are pretty long and have voice acting which is great but each character only has 1 stock pose. This means that characters look like they’re about to fight in every scene even when it’s a peaceful discussion. The most obvious example of this is the Persona character whose illustration shows her throwing out a kick. You see this same kick for every single scene she is in. Most games come with at least 3 illustrations for exactly this reason and it’s actually a little crazy that this game only uses one. I’ve seen mobile games with what looks like a higher budget. Also, the story doesn’t even make much sense at all. The high above being needs energy from the combatants in order to take over their worlds. She even has a rule in place that prevents them from fighting unless it’s a tag battle so as not to waste her time. Yet, she loses control of the characters randomly at times. Sometimes she is eavesdropping on the heroes to know their plans and sometimes she just doesn’t. She does such a glorious job of messing everything up that it makes it tough for you to take the game seriously. Her power level is just very inconsistent and most of the characters act completely out of character as well. I just think the story could have been way better and honestly it is the weakest part of the game. I wouldn’t even call the game low budget at all if not for the story. The story is what makes it appear that way with the writers just phoning in the plot and not really doing much with it. If we ever do get a sequel or a full fledged RWBY game, I hope they put ore thought into it. The gameplay is your standard 2D fighter. You attack other players with long combos and finals smashes as you attempt to get their life bars down to 0. The battles are all 2 on 2 so tagging in and out adds to the strategy of it all. There are easy auto combos that you can use while you start the game, but eventually you want to move onto more advanced techniques or you will be doomed against the stronger foes. I have no complaints with the gameplay as it flows very well and is just very well done. There are quite a few different modes to play here aside from the story. Naturally there is the training mode which is pretty handy as well as Tactics mode. There you learn combos and complete tutorials about the game. The vast majority of the game’s replay value is through it’s online and local multiplayer mode of course. Knowing this, most of the trophies in the game are obtained through these features. You can even obtain the Platinum in around 3 hours if you are truly rushing. If you don’t have online then you want to play a lot of multiplayer matches locally. If you are just playing for single player content then you will be done very quickly. The game got a lot of controversy for locking half of the characters behind a paywall and rightfully so. The developers are basically just reusing the characters from previous games so it hardly costs them anything. I do appreciate the price of the game being reduced to help justify this, but it’s still not a good look. As a result you fight some characters in the game that you can’t even play as. We’ll see how much each character is, but I don’t think I will be purchasing any of them. I just don’t play the game enough to make it worth it as opposed to something like Smash 4. One of the big positives of the game is its rich soundtrack. Blazblue has always had a bunch of great themes and now we get to hear the RWBY ones alongside it. Persona and Under Night’s themes aren’t bad either so it’s just a very complete soundtrack. It’s nice to have voice acting for all of the characters as well since it makes the game look more polished. The graphics are certainly top of the line so the game’s developers spared no expense in this arena. The Astral Finish move that each of the characters have looks great and the gameplay is very bright and dynamic. Even if some aspects of the game were rushed, these certainly weren’t. 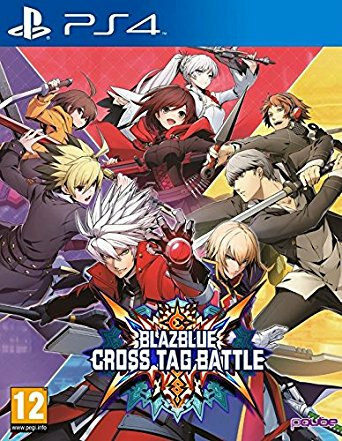 Overall, Cross Tag Battle is a great game. You just have to decide on if you want to look at it in a glass half full view where you’re just glad that the game actually got made and licensed or in a half empty view where there is so much more that could have been done with it. It’s not perfect, but it’s still a game that I had a blast playing even if it was a rather brief experience. I’ll at least go back to unlock some more trophies and if I ever buy a month of PS+ to get some online trophies maybe I’ll even go for the Platinum. Surely getting to Silver Rank online won’t be that tough right? I’d recommend checking this game out if you’re a big fan of fighters or just want to be able to play as Team RWBY. That alone makes the purchase worth it. It’s time to look at a King of Fighters title! I actually haven’t played too many of the games in this series, but enough at this point where I have a good grasp of the series. Aside from the new PS4 one I played the first Maximum Impact and 2 of the GBA titles. This one is probably the most plot heavy game that I’ve played and that’s not saying a whole lot since it’s just a bunch of Arcade modes like most of the old fighters. The plots do get pretty out there though and I hope that they actually got to finish. The general plot is that the King of Fighters tournament has been revived. However, this time Geese and Duke aren’t the ones pulling the strings. Instead, an alien warrior is the one who has devised this tournament and he wants to take over the body of whoever wins it. Many fighters enter for various reasons. Terry and Rock decide to check it out because they figure a villain is probably running it so they can make sure that nobody gets hurt. K’ and two other operatives check it out because they figure it might give them a lead as to who has been kidnapping famous scientists from around the world. Another alien warrior has entered so she can put a stop to his plans. One android was payed by the alien to eliminate everyone while another has entered for ice cream. Almost every character has a reason to enter while others have absolutely none so the writers stick them in arcade mode without an actual story. That is incredibly lazy if you ask me though so for the future everyone better have a role. Naturally this can get repetitive if you decide to beat the game with every character though. There are over 30 after all and for the most part they only get 2-3 cutscenes each so you aren’t going to gain a whole lot compared to the 14 battles that you have to win as each character. You get the opening cutscene, an ending cutscene, and then 2-3 mini cutscenes for the final fight. These can definitely be pretty interesting though and I didn’t expect all of this talk about aliens. The game hints at an impending invasion from the rest of the aliens. I somehow get the feeling that this hasn’t happened yet in the games as it probably would have been a big deal, but it did make this game feel a lot more epic. I prefer a general story mode to character stories whenever possible but at least these were pretty interesting. I’d say that over half of the characters have a good reason to continue on with the tournament. There was once a time where I would try to beat the game as every single character, but now I just beat it with enough characters to unlock everyone. In this case that number was 14 so it was a decently long campaign. There is still a lot of replay value here though like unlocking all of the stages and costume colors. I don’t care too much about the colors, but the stages would be fun to go for. Collecting them all involves completing all of the missions though which would certainly be very difficult to accomplish. That would buy the game a lot of time as well and it’s not as if the price is too high at this point so it’s a good purchase. The graphics are pretty solid. The character models are on point. I’m not sure what system they use for it, but it seems like a similar style to the old PS2 Naruto games as the actual models are thrown right into the cutscenes which makes them run smoothly. I also imagine that it makes it easier to add a bunch of cutscenes than if they had to animate them all individually. It works pretty well. Then the soundtrack is also good. It’s a little limited since I don’t have too many of the stages, but the ones that we do have sound pretty good to me. On a technical level this game is on point. Naturally this is the kind of game that is at its peak when you play multiplayer. Going up against a computer is fun enough of course, but fighting another person really lets you see how far you’ve come. Can you land those easy bake combos on someone who knows how to block? That’s the real question. Each character has a good array of normal attacks and special abilities. I believe each character may have around 5 special attacks or maybe even more. There are a lot of control options here so I wouldn’t be surprised if the game has a really high skill ceiling. You can move up and down the map to an extent to dodge attacks and also use a super speed roll. Button mashing doesn’t work as well as in Street Fighter because not every attack is meant to lead into a combo so sometimes you’ll just trap yourself in lag if you use a slow attack. It does make you think about your best course of action though. By the way, since I didn’t really mention the gameplay style earlier, it’s a 2D fighter like Street Fighter. I’m sure you picked that up by now, but just a heads up in case it wasn’t clear. Overall, This is a pretty fun fighting game. 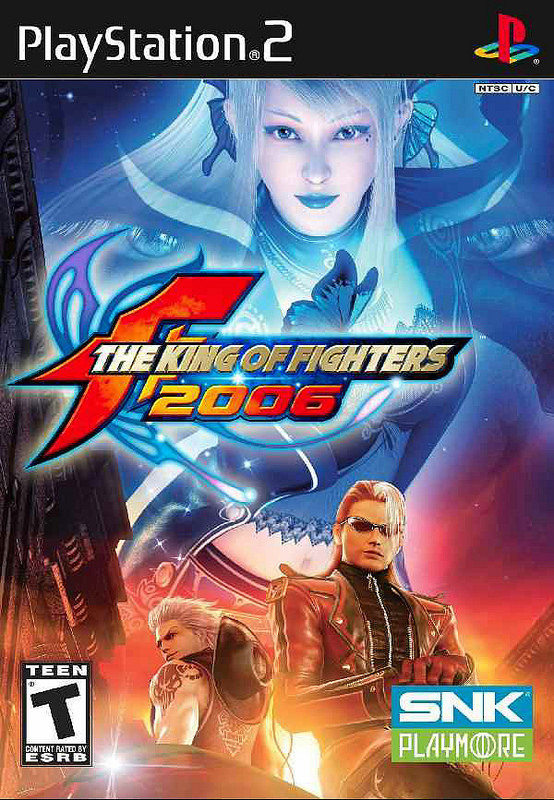 King of Fighters is still a step behind Tekken and Street Fighter for me as far as the actual game series and story goes, but it’s solid in its own right. Perhaps it would move higher if I actually played more of the games. I am pretty interested in the PS3 titles that came to America and I think I’m missing 2-3 PS2 ones as well. 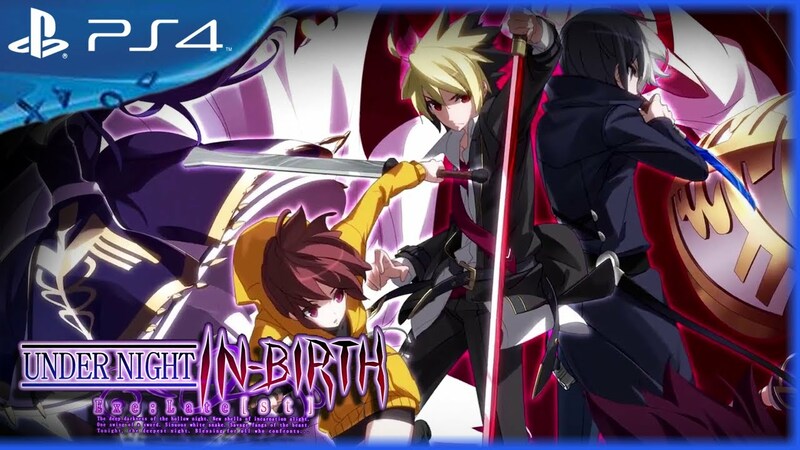 I still don’t think it will ever rise to be the top fighting game series or anything, but I am glad that the series was recently revived on the PS4 and hopefully it will continue strong. The more fighting games the better after all. It’s a rather somber thought, but among by 114 video games on the backburner I don’t think I have any fighting games left. That’s actually pretty scary, but shows how that genre is slowing down compared to the others. It’s probably because one game can last a while so there’s no need for sequels. Just look at Street Fighter V or even FighterZ now. I doubt either of those will get a sequel because they will probably last for a long while. The Star Wars marathon continues. I’m finally into the TV show continuity so that takes me one step closer to the original films. It’s been a fun marathon, but it is almost time to put it on hold since my Birthday is quickly approaching and that means that Legend of Zelda is on the horizon. Still, Star Wars will be back and this is a really solid game to have as the latest title. A Star Wars fighting game makes perfect sense and the series certainly took its time before coming to this conclusion. The plot adapts classic fights from the movie and the show. Most of the levels are relatively stand alone in that sense as they skip you from fight to fight and it works as a nice abridged version. Honestly, the plot was pretty exciting as a result since the fights just kept on coming. It’s the kind of editing that would work well for many other titles as well. Imagine a DBZ adaption where it skipped all of the set up and just threw you into the fights? To an extent, Tenkaichi already did that, but it included a lot of minor fights while this one only kept the best. One strike against the game is that it’s incredibly short. There are only 9 levels and each level will take you about as long as your average Street Fighter match. Maybe a little longer if your opponent starts to block a lot, but it’s still nice and quick. This game would probably not even last you two hours so it’d probably be sad to have gotten this game at full price. It’s not as if there is no replay value though. You can play challenge mode to unlock the final fighters. I tried one of the challenges which was to not use any force abilities, but it’s hard to not do this accidentally. I would have preferred that the game just disable those attacks so you can button mash at will. If you really want the characters then it’s worth trying out, but I can’t say that it nabbed my attention. Multiplayer is where the real replay value is at. The gameplay is surprisingly fun considering that it’s heavily motion based. You wave your Wii remote around like a sword and try to take names. It may not be quite as epic as the Bleach game for Wii, but few are. You won’t hurt your wrist the same way that the Bleach game weakened it so that’s a nice trade off. The controls are easy to learn, but hard to master which is always a good balance. It’s the best way to develop a game because then casual gamers can get into the fun and people who take it seriously won’t have to hit a skill ceiling too quickly. I’d say that I’m still a casual in this game as I basically stuck to button mashing and trying to figure out what combos to use in the meantime. I learned a little about Force attacks and would randomly throw them out during the fight. It worked and I beat all of the foes so that’ll suffice. There are higher difficulties for you to play the levels in as well which should give you a real challenge based on the normal difficulty setting. The graphics are pretty good. At times, I couldn’t tell which parts were from the game and which were the clips. It’s all pretty smooth and having cutscenes with action inside of them was a nice treat as well. I feel like this game actually got a pretty reasonable budget which is nice to see. Imagine how cool this game could be with Gamecube controller support. I dare say that it would have been one of the Wii’s top tier titles. The soundtrack is rather bland. We have a decent “previously” music theme that plays a few times, but the others aren’t very notable at all. You’ll likely forget them as soon as you finish playing. The cast of characters are all pretty likable in this game. From Dooku to the Killer Droid, everyone brings something to the table. I especially love all of the overconfidence that emanates from everyone. The amount of trash talking in this game is impressive and the stream of comments just never stops. It’s safe to say that Anakin is my favorite character in this game as expected, but the Killer Droid probably had the best design. A robot wielding Lightsabers just makes sense. I really want to see more wielders in Episode VIII because these games keep reminding me how much I miss those battles. High octane Lightsaber battles is what Star Wars is all about. Overall, Lightsaber duels is actually one of the better Star War titles although the bar is already quite high so that might be misleading. 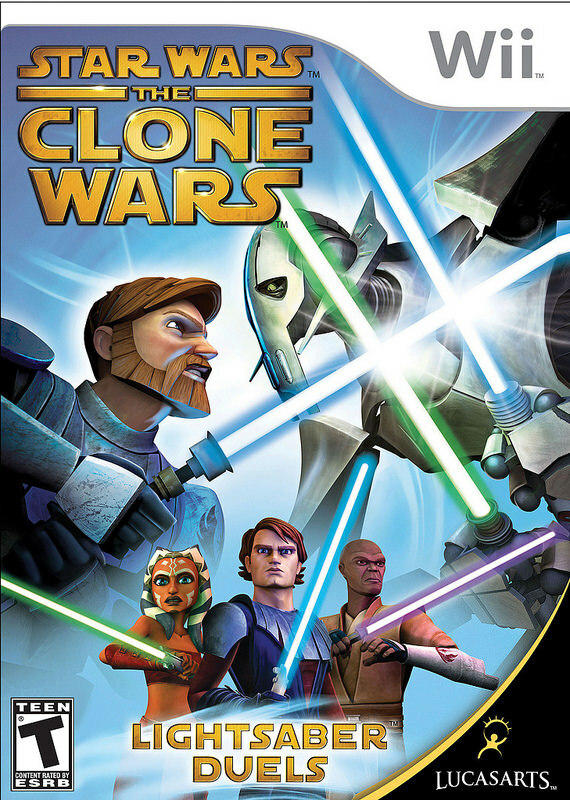 It’s certainly not as good as Episode III and Bounty Hunter, but I dare say that it’s better than all of the small console titles and maybe even the two Gamecube flying ones. It’s a tough call, but being a pure fighting game can do wonders for you. I do wish that the game had been longer and contained more characters though. That keeps it a little lower than I would have liked the game to be at. Next up is the DS Clone Wars game so it’ll be interesting to see how that one plays out. If it’s essentially a portable version of the same fighting style, then I think we’ve got a real winner here folks. Just looking at that cover should remind you just how changed Marvel is from the good ole days. We have a lot of heroes trying to replace the classic ones and most of the old ones have had drastic makeovers. No worries though, this game manages to include an enormous amount of characters so the classics are still here as well. 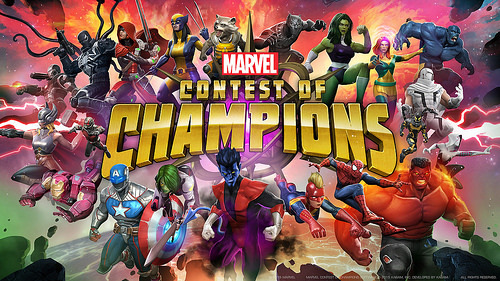 With new characters constantly being added to the game, I don’t see Contest of Champions ending anytime soon. It’s simply too expansive at this point and I’m glad to see it doing well. The amount of content can be intimidating, but it also shows that you can do quite a lot even when under the free to play format. Someone should have told Super Mario Run about that. There’s actually a plot this time. The Collector is having another game and has decided to pit the Marvel heroes against you. You are the chosen one and your opponent is Kang. Both of you collect Marvel heroes and duke it out until there is only one fighter still standing. The plot will probably have some wrinkles along the way though because there are dozens and dozens of levels. I only played about 10% of Act 1, which was already fairly long. Since they keep on adding new chapters and acts for special events, I can easily see this reaching an RPG’s length by the end. The story isn’t all that engaging so you’ll be playing it for the gameplay. Console games are still my priority though, which is why I didn’t play the game for too long. I played it enough to see what it was all about and then it was time to delete the app. The gameplay is fairly straight forward. Tap the screen for standard attacks. Swipe forward to dash or back to dodge. You can also use charge attacks and special moves. Each battle will play out in pretty much the same way and the various special abilities will all blend together after a while. This is still a game with a reasonably small budget so you can’t go in expecting Marvel vs Capcom. Still, the graphics are very impressive considering. All of the character models are on point and it’s pretty surreal to see Marvel’s large array of characters all show up. The soundtrack is rather bland, but decent. One issue is that the gameplay can get a little repetitive. I suppose that can be said about most mobile games, but other titles like 1010 and Pokemon Go are super fun anyway. You may be doing the same thing hundreds of times over, but it never gets old. Contest of Champions will get old after a while so you shouldn’t play it for too long at a time. If you play it seriously for collecting all of the heroes though, then this may not be a factor. I also have to give the game some props for not making the pay to win element too prevalent. You can still play for a while each day before hitting your limit and that’s a good thing. Madden Mobile got annoying for how quickly you hit the daily limit along with Pokemon Shuffle. The main menu is a little cluttered and complicated, but at least it shows that there is a lot to do here. There are all kinds of modes to explore and crystals to earn. It just never stops and you can be lost in the menus for a good 20 minutes before deciding what to do. The replay value here is endless and that’s what we’ve come to expect from these apps. With this one gone, it’s going to be back to Pokemon Go for me. That’s really the only long term app game that I need. These other titles are good, but ultimately can’t compete. Overall, Marvel’s Contest of Champions is a fun enough game. The graphics are sound and assembling your team of heroes can be addicting. Eventually you’ll either start to get frustrated by obtaining duplicate heroes even though you only have 5 or 6, or you will be completely into the game by then and just hooked on all of the future updates. If you’re a big mobile player, then I recommend adding it to your roster. If not, then this one can probably be passed. It’s good, but you could always just buy Marvel vs Capcom instead for the superior fighter. I know that DC also got a very similar fighting game on the app store, but I don’t plan on trying it out anytime soon.